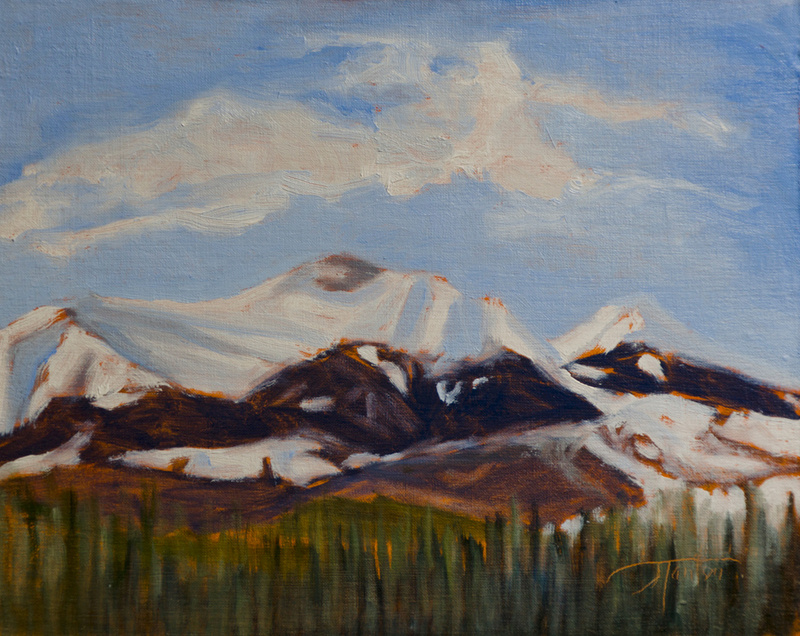 "Moose Mountain - April" ©2012 Janice Tanton. Oil on linen. 8"x10"
I’m thrilled that spring is (almost) here in the mountains. It makes for a better experience when outdoor painting. Don’t get me wrong – I love Canadian winters and the cold weather, but I’m very happy when the weather isn’t -30 and the wind isn’t freezing my paint and my hands. Today, I had the chance to get out to Kananaskis Country and hang out at the log shelter for the Jumping Pound Demonstration Forest. Usually there’s no one else but me there, but I was joined by a lovely Swiss family from Cochrane today. As I was finishing the painting, they arrived and had a lovely picnic BBQ and even asked me to join. What a lovely day – something I’ll always remember when I look at this piece. Here was my setup and painting location. Go ahead…..drool! 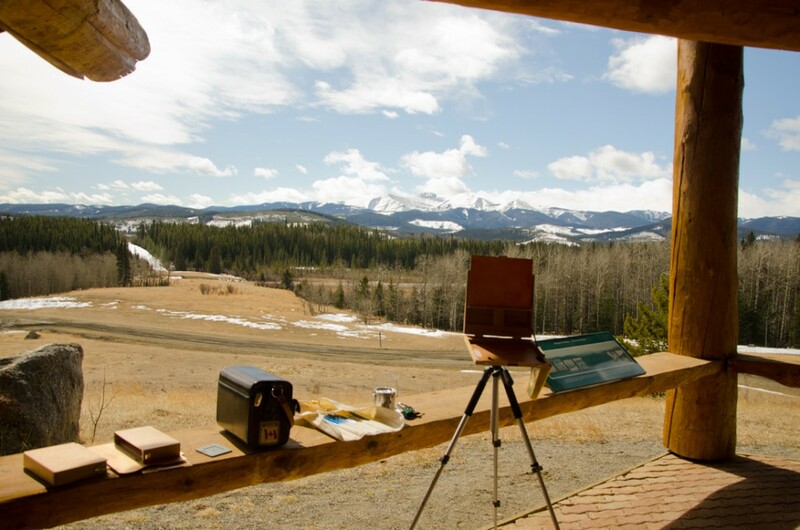 Moose Mountain plein air painting location with Janice Tanton, Kananaskis Country, AB.